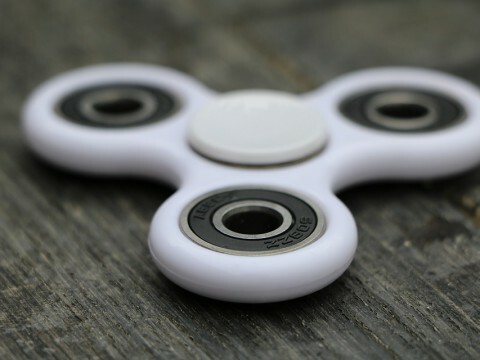 To Spin or Not to Spin, Tips on How to Effectively Use Fidget Spinners | Navigating ADHD Inc.
At Navigating ADHD, Inc., we have been contacted by many parents and teachers to discuss the positives and the negatives of Fidget Spinners in the classroom. Fidget spinners were invented in the early 1990’s by a chemical engineer. They soon made their way into offices as a tool to help relieve stress. Thanks to the power of the internet they became mainstream shortly thereafter as a must have toy for children. As of May 17, every one of the top 10 best-selling toys on Amazon was a form of the handheld toy people can spin and do tricks with. These symptoms manifest themselves continuously throughout the day and can sometimes manifest at the same time. Therefore, for the ADHD brain it is ideal to have options and therapies to help children direct this swirling energy into a creative outlet. For students with ADHD, it can be ideal to have a tool to calm restlessness, focus attention and minimize outside distractions. Although the jury is still out on the use of spinners with children diagnosed with ADHD, there are recent studies which point to compelling results. Some studies indicate that spinners can aid with the excessive movement associated with ADHD symptoms. Research points to this movement being linked to executive functioning of the brain. The study conclusions indicate that participants who were diagnosed with ADHD performed better with basic tasks when they engaged in movement or targeted activity while completing tasks. When purposefully using a fidget tool, such as the fidget spinner, a student with ADHD can successfully direct their attention to two things, the fidget and the task at hand. The fact that Fidget Spinners have become mainstream has been tremendously helpful to children with ADHD because they no longer feel that they stand out among their peers. However, it is important for parents and educators to recognize that fidget spinners require hand-eye coordination. Of course, when the eye is drawn to the spinner, the focus is not on the teacher or the classroom environment. This can be a challenge if not properly managed. Fidgets are not one size fits all. Therefore, be prepared to use an alternative to fidgets. For example, putty, stress balls, slinky and other therapeutic fidget items which do not serve as a visual distraction. Establish guidelines for the use of spinners at home and in the classroom. We advise the teachers to set classroom guidelines for Fidget Spinner use. The Fidget Spinners should be used discreetly under the desk only. Teachers can also give a quick learning overview that all brains learn differently and some require the use of a fidget to harness attention. If they are misused, the student can have the option of putting it away or choosing a less obtrusive fidget, such as Thinking Putty. Most importantly, the use of fidgets should be practiced. While we typically recommend that students practice using fidgets at home, with this widespread use, it would be beneficial to practice using them in the classroom. We recommend having the students practice using the fidgets while doing a mindless activity, such as watching a movie. They should be able to develop muscle memory for manipulating the Fidget Spinner so they can use it without thinking about it–similar to tapping a pencil on a desk. 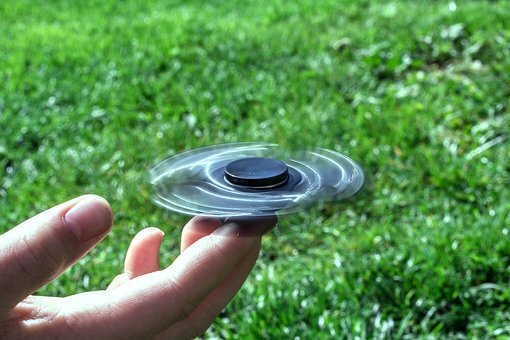 Remember the goal of fidget spinners is to help children diagnosed with ADHD build concentration and focus. Soon, they won’t pay attention to the cool things the spinner can do and they will simply be spinning it while they learn. If you have any further questions or would like additional tips for Fidget Spinner, contact us at info@navigatingadhd.com. Ready, Set, College – Leave for College Prepared with a Plan for Success! "The "wow" factor for me was learning just how individualized organization, time management and study skills are and that there really are an infinite number of ways for students to be individually successful in each of these areas. The practical, concrete solutions and ideas will help help educators, parents and children alike"